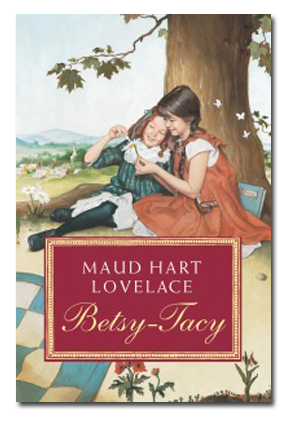 Betsy-Tacy Society | Celebrating the spirit of the Betsy-Tacy books, and the writings, books, and life of Maud Hart Lovelace. With support from Maud Hart Lovelace fans from around the world, the Betsy-Tacy Society has preserved and restored the childhood homes of Maud’s fictional characters, Betsy and Tacy. Now open to visitors, Betsy’s House is a museum where one can see how the Hart family lived more than 100 years earlier. Across the street, visit Tacy’s House Interpretive Center and Gift Shop. View artifacts from the Hart Lovelace family and the 1900 Mankato era that pertain to the Betsy-Tacy books, photographs and more. Our gift shop is bursting with books and treasures sure to please all Maud Hart Lovelace and Betsy-Tacy fans! Support the work that means so much to so many… Browse this site to learn more about Maud Hart Lovelace, her work, and the restored Deep Valley homes. 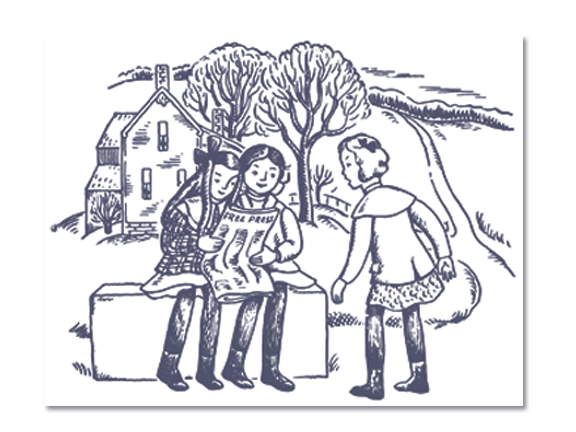 Consider supporting the preservation mission adopted by the Betsy-Tacy Society through your donation or by becoming a member. Thank you for visiting and welcome to Deep Valley. Help keep the Lovelace tradition alive! Becoming a BTS member gives you the unique opportunity to preserve the legacy of Maud Hart Lovelace. In partnership, we can do great things together.